Moss Heating and Air's mission is to provide quality HVAC products and quality installs at a fair price to homeowners. We strive to provide an overall positive experience with the goal of gaining your trust and future business. 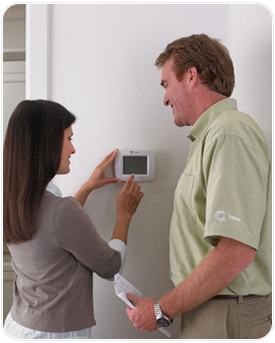 At Moss Heating and Air, our team provides knowledgeable experience and friendly service. We truly care about our customers and are proud to have earned the trust and loyalty of so many in the local community. Our technicians are well-rounded in all aspects of heating, ventilation, and air conditioning. You can count on us for outstanding on-time service and repairs, knowledgeable replacement advice, and quality new installations. Call Moss Heating and Air today at (864) 241-0108 for a full range of air conditioning and heating products and services.